Having a professional web designer create your business website has all positive and no negative effects. More than any other way, a well-presented and professionally designed website is seen as the focal point of how a business chooses to represent itself to the consumer. Whether your business is a fledgling start-up planning for further expansion or is already a recognised brand, its website is seen by consumers as a representation of your product or service’s quality. The consumer will judge the business on it accordingly. Professional web designers know how to choose appropriate wording, layout and colours most suitable for the image the business wishes to project. Plus, they have in-depth expertise on how the website should look and perform based on its target customer. These are all valuable areas of website development to which the layperson simply does not have access. If you are looking for ways to maximise your business’s profile while staying on top of current design trends and SEO compliance strategies, carry on reading for ideas on how and why a professional web designer is a better way to success. Professional website designer or Wix? 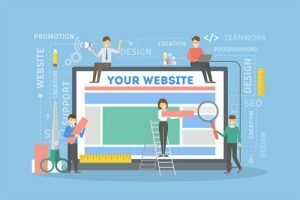 The problem with any of the “design your own website” companies that are currently heavily marketing themselves is that it is in their best interests to downplay how complex designing a fully functional website can be. Business Management 101 stresses the importance of teamwork, so why would anyone who takes the management of their own business seriously attempt something as complex as a designing its website alone? The advertisements for the self-design companies sometimes give the illusion that it is possible to create a truly unique and highly functional website. What they offer is a limited number of choices and functionalities that can be time-consuming to implement and confusing to decipher. Is a Sit-Down Consultation Necessary with a Professional Web Designer? Take this as a scenario: You have located an amazing website designer in Essex who can deliver the website of your dreams at a very reasonable price point. The only drawback is that you live somewhere else and can’t leave your business to attend a consultation. Is it still possible to work with the designer? The answer is yes. Bee Spotted website designers in Essex can conduct a thorough discussion of your needs and preferences via video conference. Not only can they listen to the requirements and expectations you have for the website, but they can offer up solutions to any queries and gaps in knowledge that may still be outstanding. You will both be sitting down, just not in the same room. Remember what will be included in the cost when hiring a website designer. They carefully evaluate your business and the products it offers. Then they custom design your website to maximise its appeal to your chosen demographic and its exposure. They will factor in such things as online sales or storefront prices, information and GPS location, and current promotions and discounts. All of this will be done using the latest technologies, code language and SEO compliance. Whatever your requirements, the web designer will always be able to work within the budget with which you are comfortable. 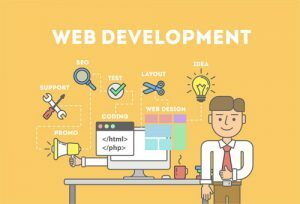 Keep in mind that it will be more expensive for your business to have a sub-standard website or not one at all compared to hiring a web developer. 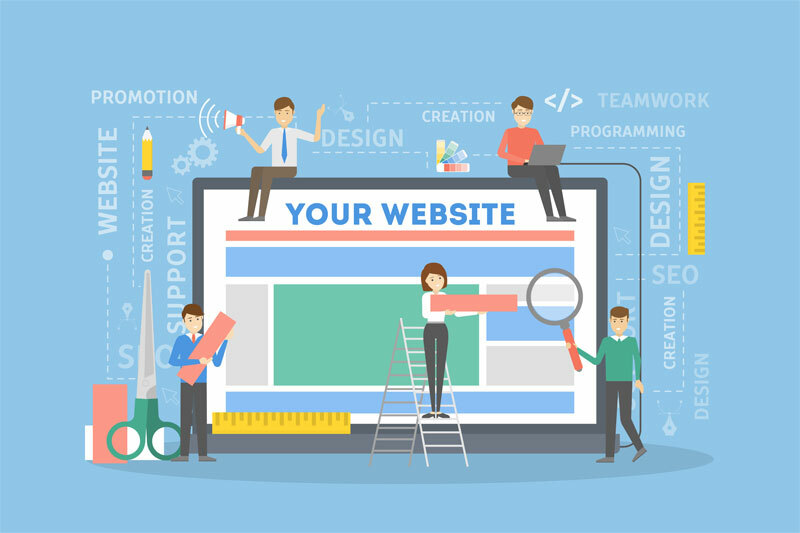 Alternatively, the question should be “Why is the design of a business’s website important?” Only a professional designer can guide you to make the correct decisions for your business website. They have years of expertise to call on to help in the creation of an uncluttered, easily navigated page that truly represents your brand and business. 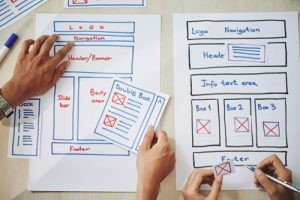 With access to data indicating the current trends and preferences of the consumer public, website designers can use this information to keep your website looking and functioning like a well-oiled machine. We all know the websites that use outdated fonts, have pictures that automatically change so fast it can cause vertigo and weird colour fonts like teal and burnt orange that were very popular ten years ago. While these websites may be good for a laugh, they will not be taken seriously as a site on which to spend money and time. Web design is an ongoing process, and a professional web designer will include in their costs the continual updating of your site to keep it ahead of regulations and SEO trends. Therefore, a website designer is highly important to your business. Every business has different needs and a unique approach on how they want to be perceived by the consumer. Good web design will reflect this in several ways. The design and layout of a business website will immediately impact the consumer. A well-designed page gives the potential customer pause to stop and read the words and look at the pictures. It is as simple as that. Only a coherent and thoughtfully designed webpage can catch the eye and hold a person’s attention. There is much competition out there for the full attention of the consumer. To have a fighting chance of getting a piece of the pie, good web design is key. A business’s website represents its brand, customer service, reliability and products. That is a tall order for any business owner to tackle single-handedly. Therefore, every reputable business advisor will advocate using a professional to design your business website and maintain it. They will have some ideas of their own that you may not have thought of or even know about that could take your business website to the next level. As a business owner, it is not enough to hire a web designer and wash your hands of the project. A good web designer will inform you of all the decisions and choices they are making for your website so that you can sign-off on every step. That is how your business will get a website design that is as comprehensive and unique as the business itself.